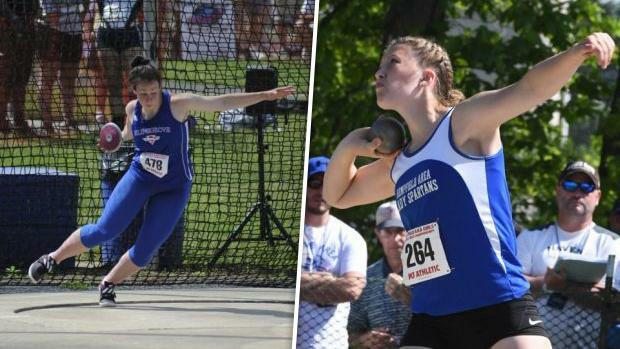 Which PA girls showed the best versatility in the throws, between the shot put and discus? This year, Pennsylvania saw quite an explosion of talent at the top of the shot put and discus events. Payden Montana, the PA Gatorade Athlete of the Year, won AAA state titles in both the shot put and discus. In the shot, Montana broke the state record with a toss of of 51-00. While Montana stole headlines all season, plenty of others put down impressive marks in the shot and disc. The likes of Piper Klinger, Mallory Kauffman, Maura Huwalt, Madisen Kling, and Mackenna Orie proved to be very solid combined throwers as well. We looked at the top combined throwers in the shot put and discus. By adding each athlete's season best in the shot and discus together, we can get a good idea of which throwers are some of the state's most versatile. Check out our findings below, sorted by best combined total. The list goes over 1,600 athletes deep!